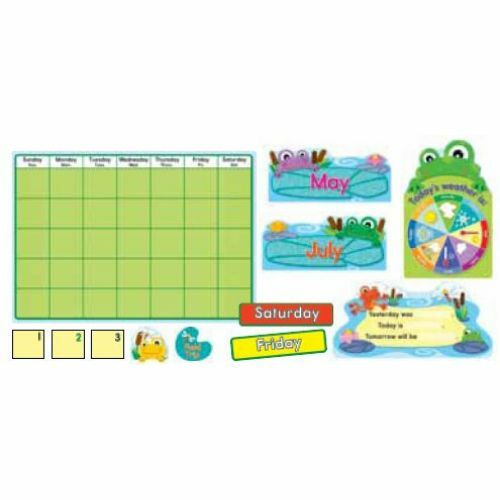 Bring FUNky fun to your classroom year-round with this silly frog-themed calendar set. 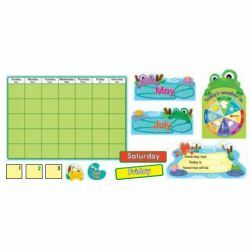 Includes a 23" x 161⁄4" calendar, 12 monthly headers, 51 cover-ups, and much more! 80 pieces.